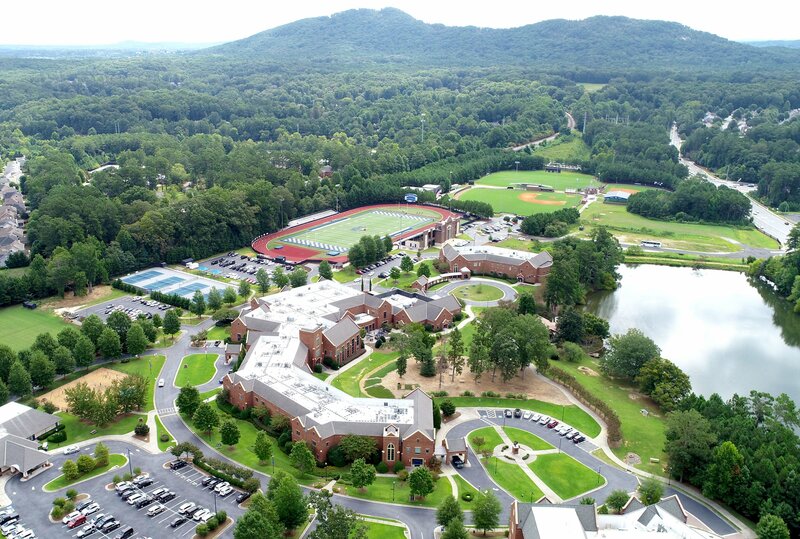 Because these character goals tie very closely with the mission of Mount Paran Christian School, it is logical that the school would sponsor a charter troop of Cub Scouts and Boy Scouts. 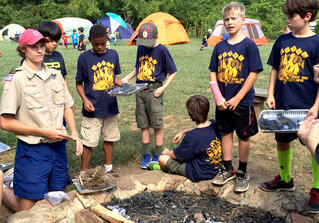 Troop 2269 is very active at MPCS, thanks to dedicated leaders and growing participation among the boys in the program. In fact, Pack 2269 (Cub Scouts) earned the National Summertime Activity award for holding activities each month of the summer last year. The troop is made up of both MPCS students, as well as some boys from the surrounding community. At this young level of scouting, the focus is on fun experiences, such as hiking Kennesaw Mountain or visiting a fire station. As the boys age and move to the older scout groups, they begin learning leadership skills through campouts and community service. In fact, when the young men reach middle school age, they move into Boy Scouts through the age of 18, if they choose to remain in the program. Interestingly, at this level, the boys rely on the assistance of other boys more than on their adult leaders for help in achieving each merit badge. In other words, the learners become the leaders. The Eagle Scout rank is the highest achievement that can be earned and is respected because of the level of work and perseverance involved as requirements. At least 21 merit badges must be earned for a scout to pursue the Eagle ranking. 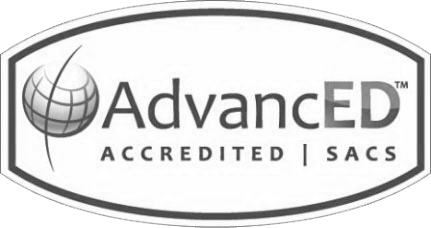 Some of these badges are required, such as First Aid or Personal Management, and others may be selected, but all require a level of dedication and hard work. In addition to the badges, the Eagle Scout candidate must also complete a major service project. You may recognize the names of some who have achieved the Eagle Scout rank, such as Neil Armstrong, J. Willard Marriott, and even Steven Spielberg. Mount Paran Christian School is proud to have had several students earn the coveted Eagle Scout rank, as well. A current student, senior Andy Crain, has just recently completed his service project, a self-sustaining ecosystem at Lake McDonald (the lake on the MPCS campus). The system involves a 75-gallon tank of water with fish, which empties the waste water from the fish into containers housing lava rocks. While the lava rocks clean the water, the bacteria from the waste serves as fertilizer for plants growing in the containers. The cleansed water then empties into a reservoir with a pump that pushes the water back through a pipe to the fish, giving them clean water. Another MPCS senior, Alex Reyna, completed his Eagle Scout project involving fish hatcheries for Lake McDonald in 2015. He constructed fifteen fish habitats in the lake, using tubing to create artificial “reefs” to encourage spawning. These new, smaller fish then serve as food to the larger bass and other fish native to this lake, which were dying out for lack of nutriments. He also assisted in constructing a compost bin to encourage more worm production as bait for people fishing in the lake. Another project completed by a MPCS student Eagle Scout also involves the lake. Freshman Luke Spinetto (top photo) saw a need when taking an Outdoor Ed P.E. class. Students taking this class are fortunate in that they learn to canoe, kayak, and fish in Lake McDonald, and get credit for it! But when Luke took this course, he noticed the canoes and kayaks were just left on the bank of the lake after class each day, so they were dirty, getting scratched and dented and had ants and other insects taking up residence in them. He asked his P.E. teacher, Coach Connie Arnold, if he could build a storage space for the canoes and kayaks, and another scout project was born. 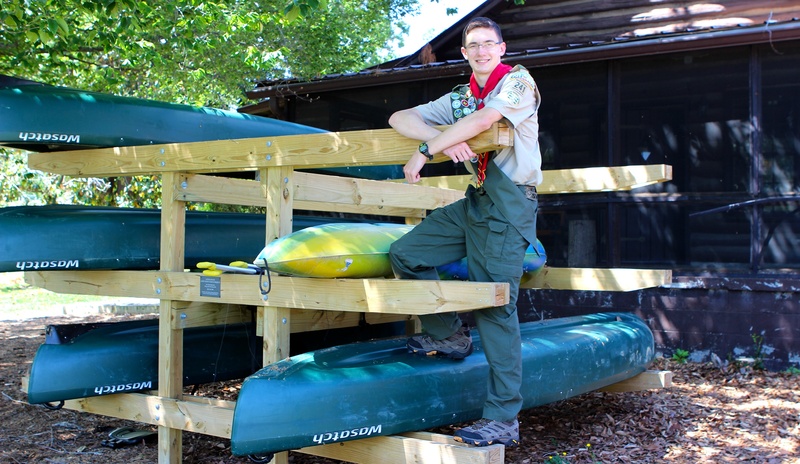 With some oversight by his dad, Luke measured the space, ordered the materials, and enlisted three younger scouts to help him build a storage rack for eight canoes in the cabin next to the lake in the summer of 2016. This allows the vessels protection yet gives easy access to those using them. As with all scout projects, Luke learned to lead other young men, helping them learn to follow directions yet work as a team. 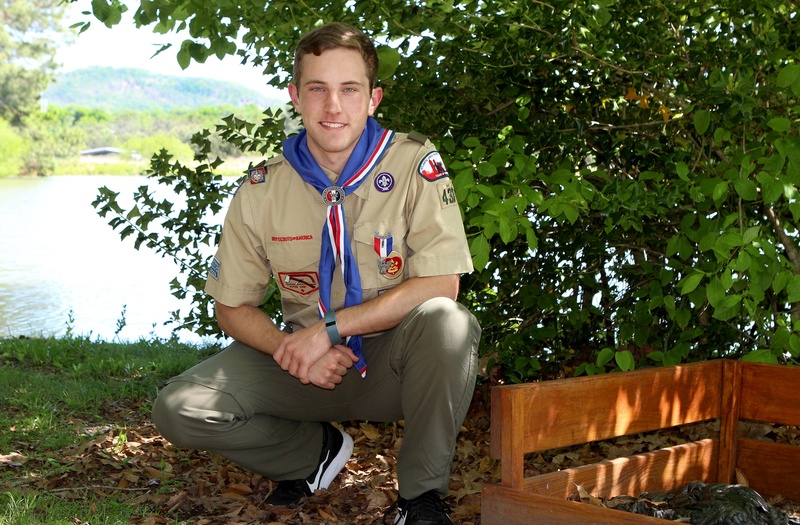 Other Eagle Scout projects formerly completed by MPCS students on campus include a wooden dock by Andrew Jenkins, the walking bridges at the MPCS athletic fields built by David Torp, and a “stations of the cross” trail by Taylor Rainwater. Junior, Jackson Counts finished his Eagle Project in March, making improvements to the picnic area of the Boys and Girls Clubs of Marietta. 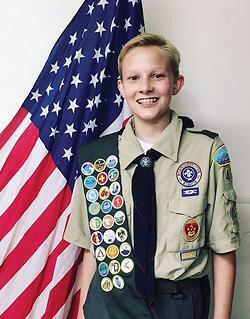 He represented Troop 252, First Presbyterian Church, Marietta and MPCS Cub Scout Troop 2269. 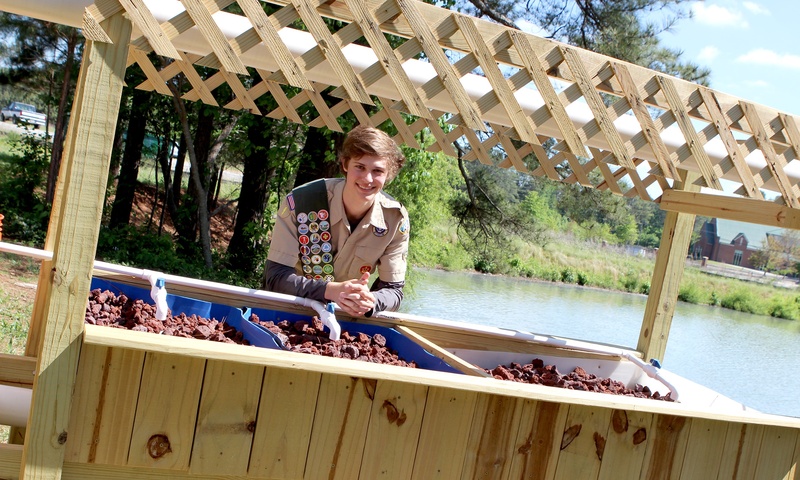 Rising freshman, Eric Torp (brother of David), also just completed his Eagle Scout project at the young age of 14. 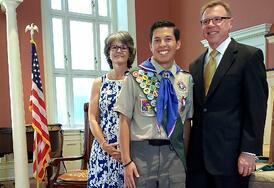 When asked why he thinks scouting is important to have available in communities, Alex Reyna noted that society is benefitted because these young men develop character and confidence, then become models to other young men, who might or might not have good examples of men of character in their life. Andy Crain shared that it fills a need for those who might not feel as if they fit in other activities or groups, such as sports or the arts, so it gives them a chance to belong to something bigger than themselves, while learning leadership skills and perseverance. He wisely noted that situations in life may not always be easy, but when one learns that they can make it through by hard work and perseverance, even difficult goals can be achieved. Sounds like a lesson from which eagles of every age can learn. Pam Copeland serves as the Administrative Assistant to the Headmaster at MPCS. To learn more about how character is revealed in our students through all aspects of an MPCS education, please click here.